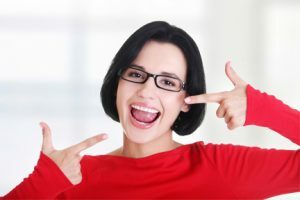 Whether you’re looking for a subtle change or something more substantial, Billings dentist Dr. Cody Haslam can perform a variety of cosmetic dentistry procedures to improve your smile and maximize your confidence. Food and drink choices – sometimes the acid in food or drink can stain or damage teeth. Medications – certain medications may cause a darkening of tooth enamel. Trauma or accidental damage – injuries to the mouth from a fall or other accident can cause discoloration. Age – over time, the shiny, white shell on your teeth will wear down from normal activity and care, which allows the yellow dentin underneath to show through. Tobacco use – both tar and nicotine can cause stubborn stains. 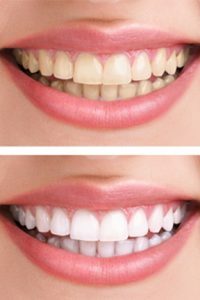 While whitening will not work in every situation, it is a relatively quick and easy process to break up stains and add a sparkle to your smile. To find out whether whitening is for you and discuss the options available, contact our team for a consultation. length, size, color or shape. This cosmetic dentistry procedure requires little, if any, anesthesia and the results can be expected to last for many years. As with all dental procedures, you should be involved in the smile design and all related decisions. To ensure your satisfaction with the end results, we will fully explain the entire process, options and limitations of the procedure. Where can you get Botox® injections in Billings, Montana? Look no farther than Haslam Family Dental! Dr. Haslam’s years of training make him an expert in erasing wrinkles and smoothing skin quickly and with little or no pain. Wondering how to eliminate frown lines? Want to get rid of crows feet? Schedule your free consultation today! And be sure to ask about how Botox® can help to reduce or eliminate migraines and tension headaches. Dermal fillers can help your skin look smoother and your lips look fuller–and can help your confidence soar. Most importantly,Dr. Haslam ensures that the results are beautiful, fresh and natural looking. Dermal fillers can even help deliver excellent results when it comes to resolving gummy smiles. Talk to us today about how dermal fillers may be right for you.